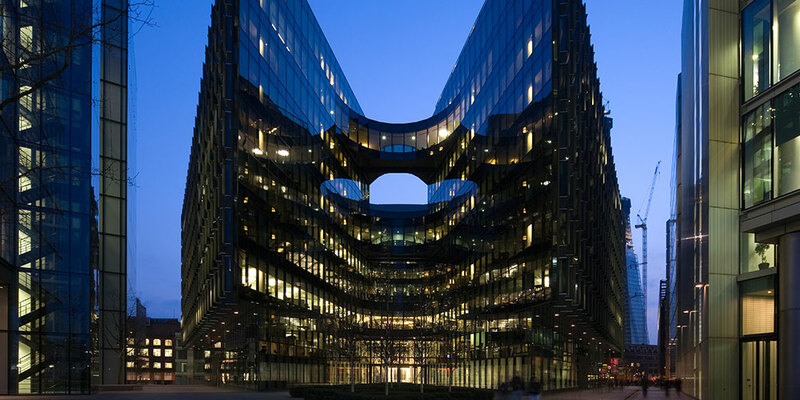 Located within More London on the south bank of the River Thames, the new 10-storey headquarters of PricewaterhouseCoopers was the first building in London and the first major office in the UK, to achieve the BREEAM ‘Outstanding’ accreditation. 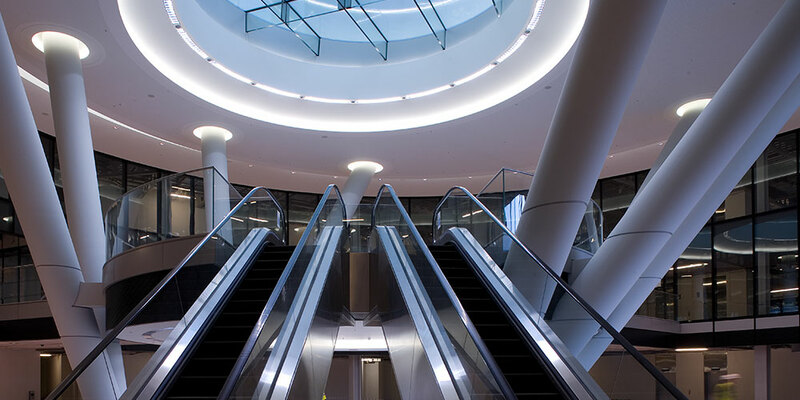 A triple height atrium forms a central plaza for the building’s occupiers. 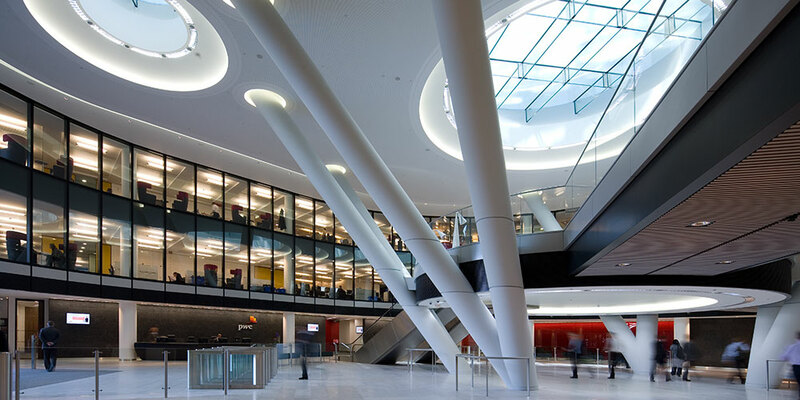 Lighting designers, Speirs + Major commissioned Optelma to design, manufacture and install a bespoke lighting solution to frame the large circular skylights which illuminate this space. Taking the concept design developed by Speirs + Major, Optelma’s Specials Department, led by Richard Voller, created a made-to-measure continuous curved lighting system. Incorporated into the circular troughs which surround the skylights, the system combines dimmable fluorescent modules and ceramic metal halide downlights arranged in uniformly spaced arrays in order to create a cool, calm feel. Unique curved specular louvres and bespoke downlighter cradles integrate seamlessly into the trough ceiling detail to give a smooth, elegant finish. The result is a high-quality, low-energy solution which adds drama and vibrancy to the atrium.